A familiar face is returning to your morning TV screen. John Brown, formerly co-host of the Orlando-based The Daily Buzz, will come back to Central Florida to anchor Fox 35’s Good Day morning news show. 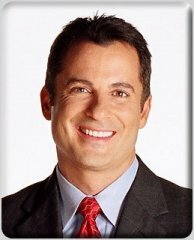 STLToday.com reports that Brown signed off Wednesday from his current four-year gig at KTVI-Fox 2 in St. Louis. He also hosted a radio show there. Brown left The Daily Buzz in 2006. I can’t watch Fox 35 anymore. I used to watch it 24 hrs a day until they hired John. He reminds me of Howdy Doodey and now I’ve changed to channel 9 for news instead.